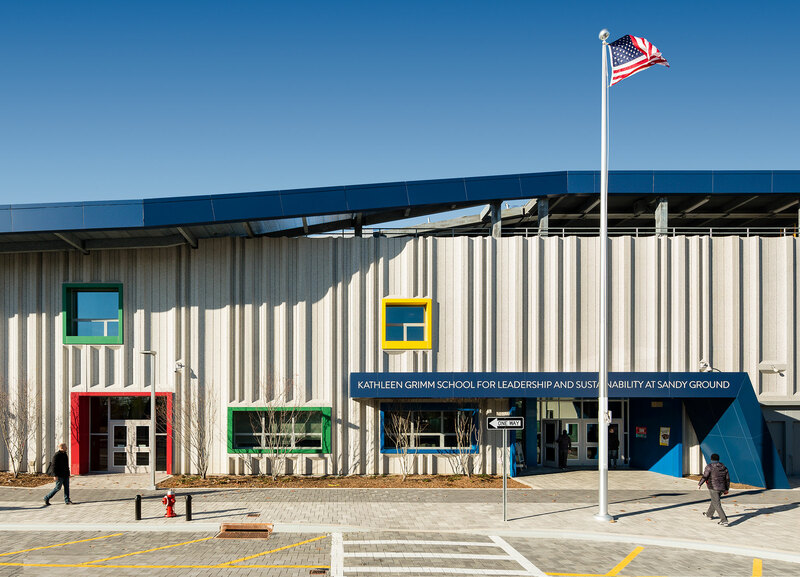 Designed and constructed to be the first net-zero energy school in New York City, the Kathleen Grimm School for Leadership and Sustainability at Sandy Ground (P.S.62) will serve 440 pre-kindergarten through 5th grade students on Staten Island, New York. 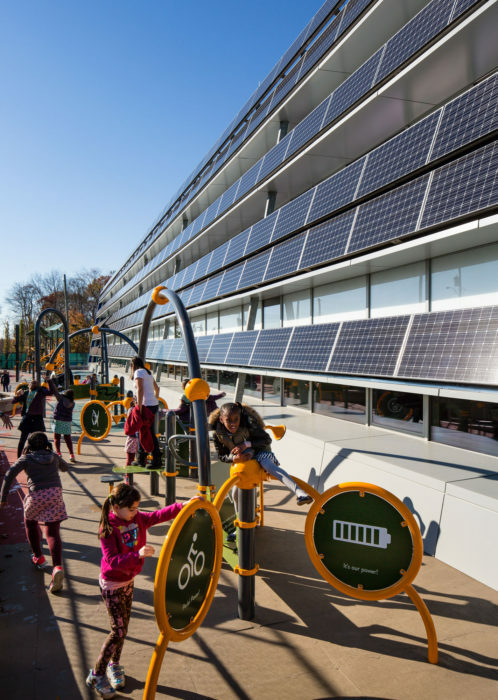 The building will harvest as much energy from onsite renewable resources as it uses on an annual basis. 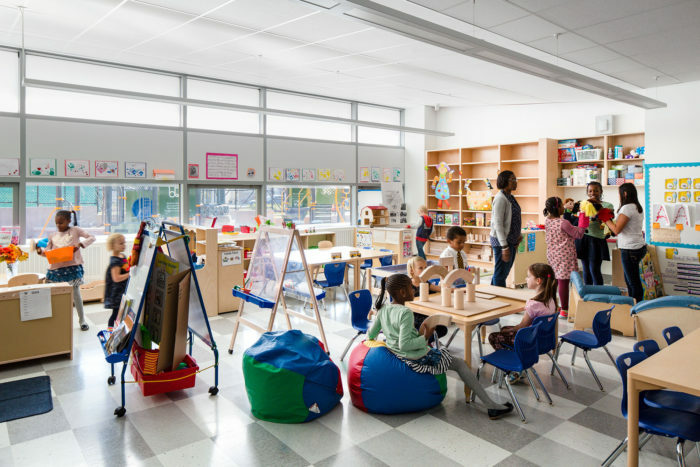 Much of its energy consumption will be offset by photovoltaic arrays mounted on the roof and the south facade—the building is oriented to take advantage of sunlight for solar power as well as provide daylighting to interior spaces, in compliance with the NYC School Construction Authority’s Green Schools Guide. When Heintges joined the project as Commissioning Agent, design engineering revealed that air infiltration had a significant factor on the building’s performance, so the facade had to be as airtight as possible using standard, low-cost systems integrated into its design. This work culminated with an overall air infiltration and leakage test in which the entire building was pressurized, and determined to out-perform the target criteria for reducing energy loss through the facade. Heintges provided services as curtain wall Commissioning Agent from Design Development through completion of construction and post-occupancy testing.